I don’t really identify as an anarchist, partly for the reasons outlined in this post and partly because I think the historical impact of Syndicalism has been more significant. However, when writing on an anarchist forum the other day about educational proposals I was putting to Liberty & Solidarity (as its education secretary) I was challenged as to why there was a lack of anarchist content in the courses. This got me thinking, as much as I spend a lot of time critiquing aspects of anarchism and its movement, what are the positive contributions of Anarchism? Sadly, clarity of definition is not one of these positive aspects. Anarchism has a very confused identity and is associated with various diverse tenancies such as individualism and insurrectionism. As a socialist naturally the school of Anarchism I find most relevant is social anarchism, the anarchism of the Spanish Revolution and Nestor Makhno. One belief that social anarchism is well known for on the left is its opposition to participation in elections. Whilst most socialists share with the anarchists a critique of democracy as it exists under capitalism, the anarchists typically have a more developed understanding. For example, anarchists are crystal clear that lasting social change cannot come through the ballot box, and that through participating in elections socialists not only waste resources but risk legitimising a fundamentally flawed system. Whilst socialist organisations often claim a similar viewpoint, this is frequently contradicted by their practice, throwing disproportionate resources into gaining electoral representation at the expense of other work. Even in cases where socialists succeed at gaining representation, the compromises made to attain and retain that position often leads to corruption, moving to the right, or elected representatives having an undue influence over their respective party. Examples of these trends can be seen across the globe such as Rifondazione Comunista senators voting in favour of continuing the Italian presence in Afghanistan or Tommy Sheridan using his power accrued as a member of parliament to turn on his own party when it refused to back him in his disastrous libel trial against a News of the World. Whilst whether or not socialists should stand in elections or not is an immediate, practical consideration, social anarchists are also differentiated from other socialists by their interpretation of certain historical events. Whilst many on the left may roll their eyes at the mention of the Russian revolution the fact remains that it was an event of huge significance. It shaped geo-politics for 75 years and continues to influence the left today. This is why having an understanding of what happened in the early days of the Russian revolution, and crucially, what went wrong, is still important a century later. I’m no historian, and I certainly can’t read Russian, but like many leftists I have done a fair bit of reading around the question of what transpired in Russia. That the Bolsheviks failed to implement socialism there is no question, Lenin himself admitted as much with the introduction of the NEP. So why did they fail? For what I can make out, the events of October (or more accurately November) 1917 constituted a coup by a political party, not a worker’s revolution. Now there is no doubt that this coup was popular, it would not have succeeded otherwise, but there reality of “all power to the soviets” was in fact “all power to the Bolshevik-controlled institutions”, with other arguably more democratic structures such as factory committees effectively hamstrung by the Bolsheviks. Soon the Bolsheviks began to wield their power to shut down even soviets that would not tow the line. 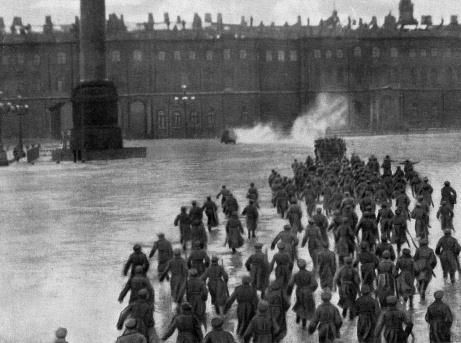 Even before the outset of the civil war the Bolsheviks and their secret police were shutting down soviets that refused to return Bolshevik majorities. This does not look a lot like worker’s democracy. So why wasn’t there a workers revolution in Russia? Obviously this is a huge and multi-faceted question, but there is an overriding theoretical explanation from the anarchist camp. Prefiguration is the idea that the new world needs to be built in the shell of the old. This means building organisations that mirror the society we want to see. Anarchists don’t advocate this for idealistic moral reasons. People are socialised into organisations and cultures, if we want to see a democratic society after the revolution individuals need to be socialised into democracies today. More importantly, revolutions and the administering of post-revolutionary societies are complex task requiring a lot of coordination. To pull these off we need mature organisations capable of organising and marshalling the forces of the whole of our class as well as allowing democratic expression. This is why anarchists are frequently the advocates of structural, democratic changes to trade unions, rather than simply seeking to elect a more radical leadership. 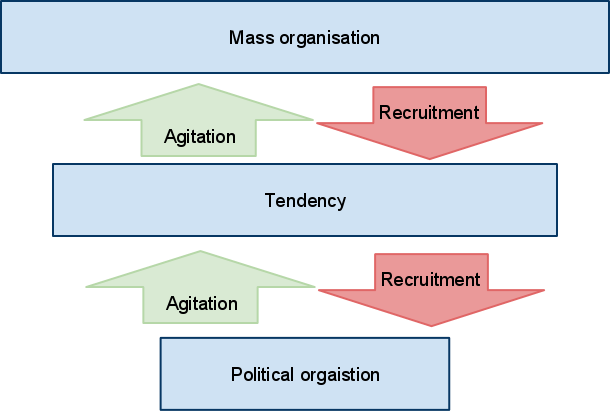 From this understanding of prefiguration many anarchists (specifically Platformists and Espicifists) have developed a sophisticated understanding of the role of political organisations with regards to the prefigurative mass organisations that we hope will make the revolution. Upon writing my own piece on the role of political organisations I was pleased to discover that several similar pieces had already been written, for example this one by José Antonio Gutiérrez. 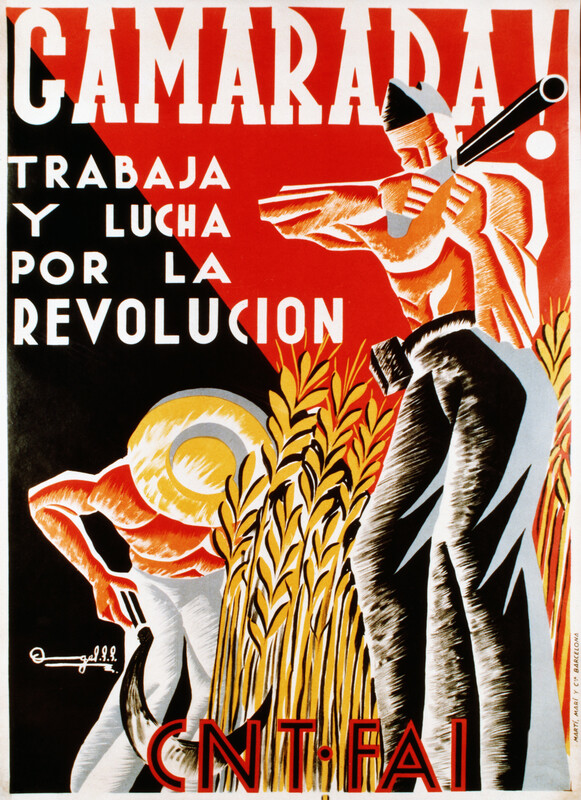 Unlike say Trotskyists who typically have a confused conception of the “mass party” which is seemingly to be both simultaneously 100% socialist and representative of the working class at large (which is not socialist), Platformists and Espicifists see their organisations as existing to both help build mass organisation and spread their own ideas. They do not aspire to become “mass” organisations in the way that socialist political parties do as they understand that such organisations are not sufficiently inclusive to represent the entirety of the working class, whatever its politics may be. Sadly, these views are only held by a small minority of those who call themselves anarchists, however these are none the less positive contributions to understanding that I am grateful to the anarchist movement for. Like many socialists anarchists are often prone to dogma, and taking the above observations (as well as others that I find less useful) as unflinching rules of nature is certainly something that can be frequently observed amongst social anarchists. Overall though these observations and understandings can greatly strengthen a socialist analysis. A focus of prefigurative mass organisation as opposed to electoral activity is hugely important and should enable us to build our new world in the here and now.